Jingle bells, jingle bells, jingle all the way, oh what fun it is to go to Light Up Lakewood today. 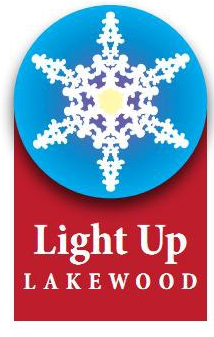 Light Up Lakewood is the communities annual ringing in of the holiday season. This will be the 12th year that the event takes place. It is set take place on Saturday, December 1st in Downtown Lakewood. This event includes a parade with local groups, such as the Lakewood Ranger Marching Band, a lighting ceremony, food trucks, games, hot chocolate, ice carvings, live Christmas music, and more. All the fun begins with lunch and Santa at 11 a.m at Dewey’s and ends when the community dies down. Not only is this a time for the community to come together in order to celebrate the holiday season, but it is a great way to shop and support local businesses. Stores may have sales special just for Light up Lakewood. So, take advantage of the local opportunities. It is always a busy day for restaurants in the downtown area; Panera, The Melt, Chipotle, Menchie’s, Rozi’s and more all show a great increase in sales on this day. This special event would not be possible without Lakewood Alive and First Federal of Lakewood. Their hard work and sponsoring is what makes Light Up Lakewood so special.